The Stephen M. Ross School of Business of University of Michigan (UM) and UM-Shanghai Jiao Tong University Joint Institute (UM-SJTU JI) of SJTU have jointly launched the Automotive Executive Development Program (EDP) for a second year. The kickoff ceremony held in Shanghai on September 28 was attended by leaders of the two institutes, invited guests and the second batch of EDP students. Chien-Pin Chen, Associate Dean of JI, extended a warm welcome to the guests and program students. 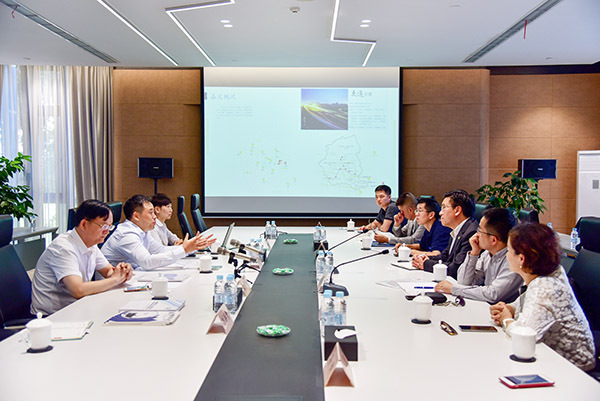 He pointed out the program is set to delve into new development trends of the auto industry, including key topics such as autonomous driving, connected vehicles, clean energy and environmental protection, smart manufacturing, big data analysis and artificial intelligence, and smart traffic network. He hoped the program would propel forward the innovation and development of the global auto industry, and foster future innovative leaders of the industry. Through video conference, M.S. Krishnan, Associate Dean of the Ross School of Business extended his welcome to the second batch of EDP students. He briefed on the background and development of the program and expressed his hope that through the two weeks of learning, students would be equipped with new ideas and strategies, as well as capabilities for transforming the automotive industry in China, North America and around the world, and driving the auto industry to achieve a stronger position in the global economy. 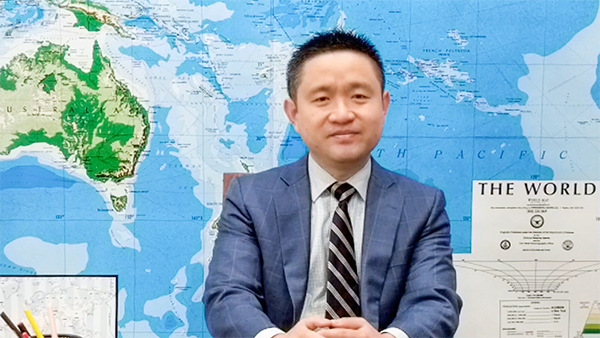 Brian Wu, Faculty Director of China Initiatives of Ross School of Business, introduced the two-week program schedule through video conference, together with David Hung, Associate Dean of JI. Following the Shanghai kickoff ceremony consisting of keynote speeches and company visits, the EDP students will be provided two weeks of immersed learning experience in the United States, complemented by visits to famous enterprises and high-level exchange with academic experts. The students will be taken to Ann Arbor and Detroit in the first week, as well as Palo Alto and Silicon Valley in the second week. Min Xu, Director of SJTU Institute of Automotive Engineering, delivered a keynote speech on his finding out of the research on the development of auto industry over the past century. He analyzed challenges and opportunities facing global companies in the era of great changes, and proposed technological pathway and strategies for the future. Xu Xingyi, President of Shanghai Dajun Technologies Inc., delivered a keynote speech on the challenges and opportunities for the development of China’s new-energy auto industry. He displayed prospects and challenges for the new-energy vehicles with comprehensive analysis covering aspects of revolutionary reform of the auto industry, technology and development trends for the electrical power system, status quo, new trends and development history of China’s new-energy vehicles, new trends and status quo of electric motor system. Company visits were arranged following the keynote speeches. 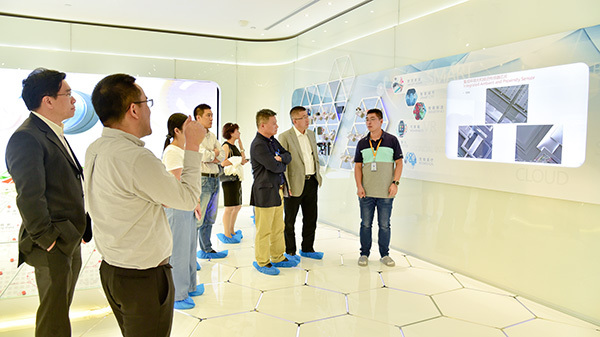 EDP students were taken to the Shanghai International Automobile City to visit companies and industry insiders including Managing General Manager Jian Xu of Shanghai International Automobile City Co. Ltd., and President Mingrong Zhu of China Automobile Talents Society. 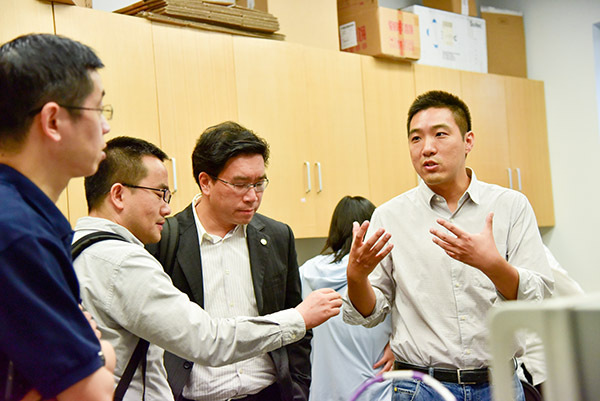 Students visit Shanghai Industrial Technology Research Institute and its research center. Students visit SGR Semiconductors Inc. Featuring high-level course study and visits to large-scale automotive companies and government offices, the Automotive Executive Development Program delving into disruptive changes that are dramatically reshaping the auto industry, is expected to help participants master the strategies coping with these changes and bring them to higher levels of global success.